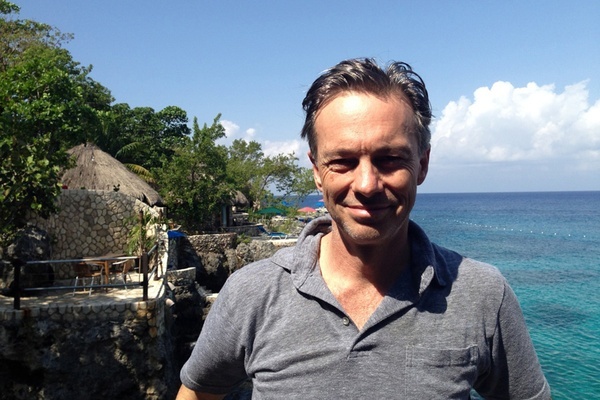 Paul Salmon is the owner of , the legendary and beloved cliff-side resort in Jamaica. He splits his time between the Caribbean and New York City, where he is partners in , a cool Jamaican restaurant, juice bar, and record store in SoHo. 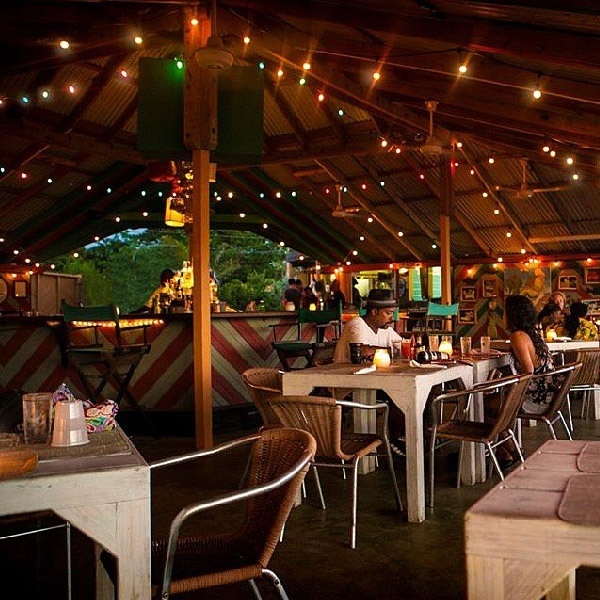 Gentedimontagna's Pavia Rosati sat down with him at Miss Lily's to get the scoop on his favorite things to do in Jamaica but got distracted by the whole Rockhouse story. 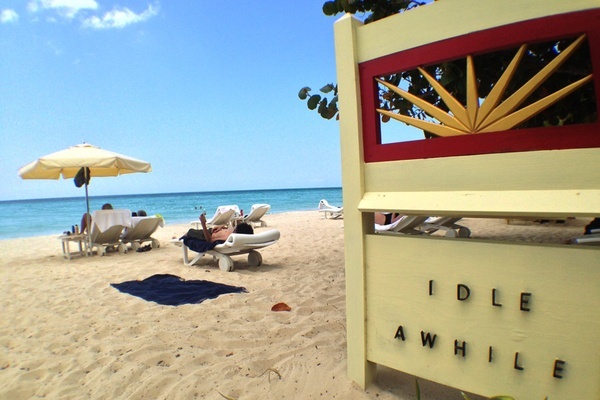 How'd a nice Australian boy end up owning a cool resort in Jamaica? In 1992, I had just moved to New York City and was working in banking. I'm from Australia, but I spent a few years in Hong Kong before Manhattan. I ran a trading group but decided that was not a career for me, and I needed plan B. The boutique hotel concept was starting to get traction, and I had begun going to Jamaica by chance with friends. At that point, the hotels were either big inclusive resorts and traditional places like on the higher end, or mom-and-pop places on the lower end. The things in the middle were characterless chains of motel-style blocks. There seemed to be an opportunity. We bought an existing hotel on August 8, 1994, and opened for Thanksgiving. We put in a pool, redid the restaurant, and have since acquired five properties. We started with twelve rooms and now have 34. Everybody I know loves Rockhouse. What makes it so special? It's a combination. The location is amazing. We're on a pristine little cove with 20- to 30-foot cliffs all around. You look out west right at the sunset. We've been voted the #1 location in the Caribbean. We have a great staff who are fun and friendly, they do a great job with food, and the spa is really world class. And Rockhouse has a real soul. We have a strong environmental program and we started the to focus on childhood education. We set a mission to be a model for what a foreign owner in a developing country could do to act responsibly — investing in the staff, in the guest experience, in the environment, in the community. It's a registered New York charity, we've raised more than US$2 million dollars, and we've just rebuilt our fifth school, and expanded the Negril Library. Every year we hold a fundraiser at in New York. Past performers at the show have included Shaggy, Sean Paul, Mos Def, and Citizen Cope. We raise about $250,000 per year, most of it that night, and we use it to fund one new project each summer. The hotel underwrites all administrative and fund raising expenses so every dollar we raise goes straight to our projects. We look for the most in-need school in the area and do a full renovation. We maintain relationships with all the schools: funding maintenance staff, school supplies, breakfast programs, and generally helping them achieve their goals. When I asked you the Gentedimontagna question, "What do you travel for?" you answered, "for the impact that it has on me and, hopefully, that I have on others." Can you explain that? Rockhouse Foundation 2013 - Moreland Hill Primary School. 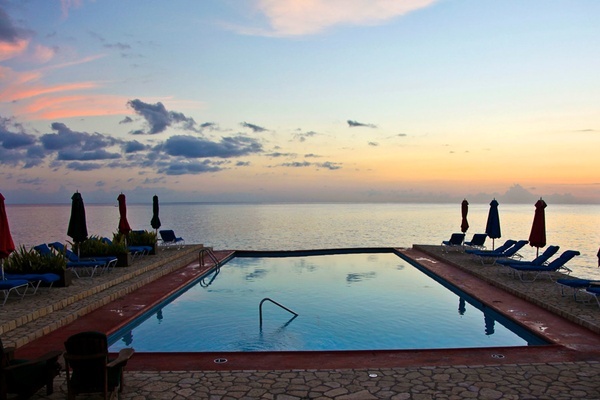 Direct access to the Caribbean from the villas. 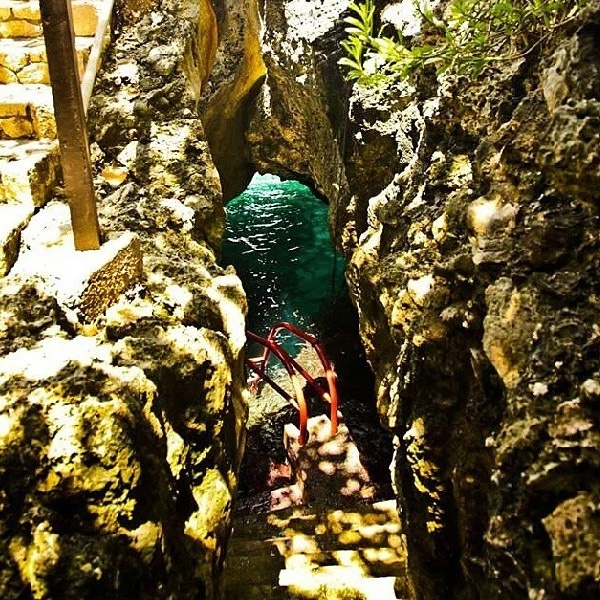 A secret cove for swimming under the hotel rooms. 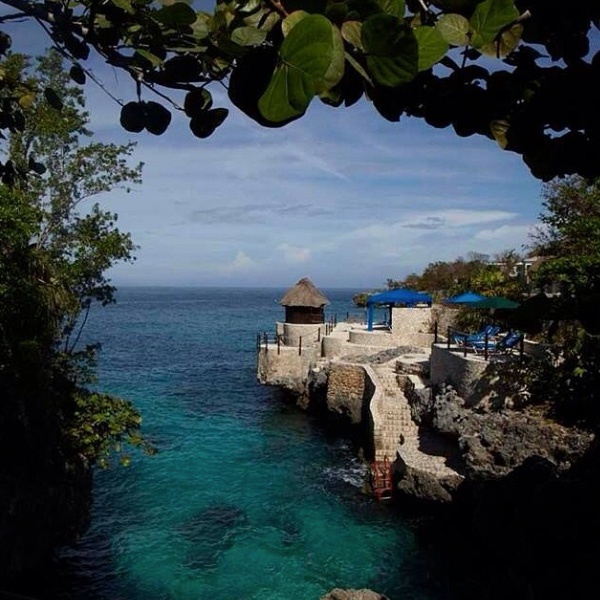 Rockhouse is a romantic getaway, and because the rooms are on cliffs, we don't really have kids here. We don't try to be high-end. We deliberately try to position it as accessibly priced. We're not private — half our restaurant guests come from outside. 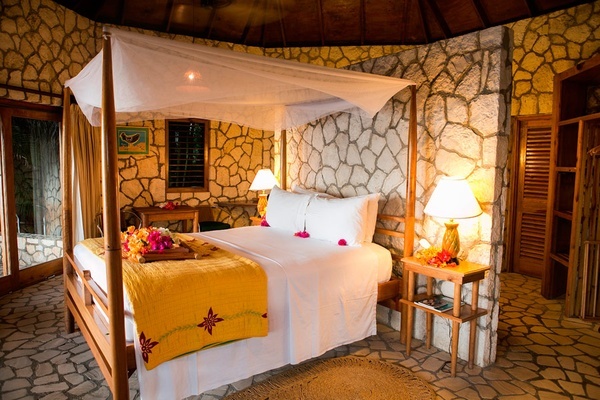 We have different categories of rooms, with the lowest rate at $95 in the low season, and up to a villa for $425 in high season. That's not too crazy and by Caribbean standards very affordable. This means we get a younger clientele, primarily an artsy music and media crowd. But once you're been around for years, all kinds of people end up here. If I had to pick a target age range, it would be 25-45. But the range keeps edging a bit older to include us. We were joking that we'll have to add ramps in to the coves soon. You go to Jamaica about six times per year, and you have friends who come to visit often. 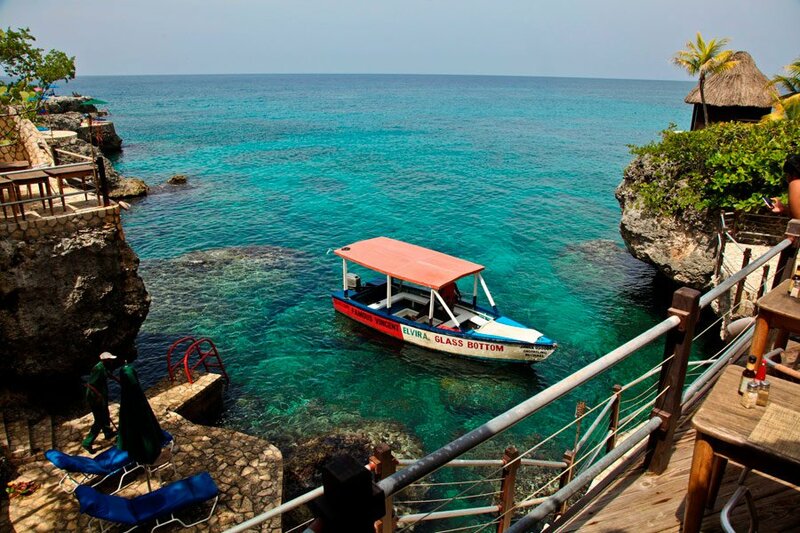 What are your favorite things to do in Jamaica? 1. Of course my favorite place is — but there are many other must-dos. 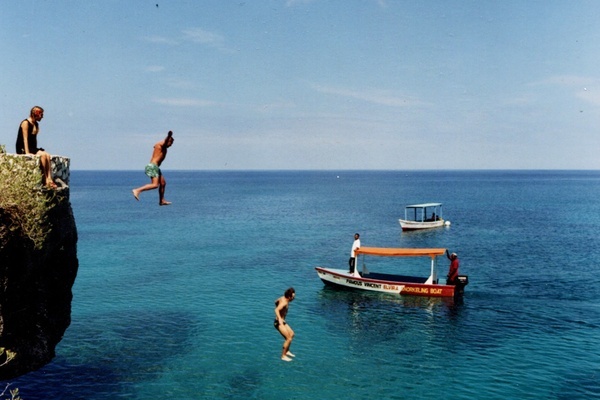 Cliff diving with Famous Vincent's Glass Bottom Boat. 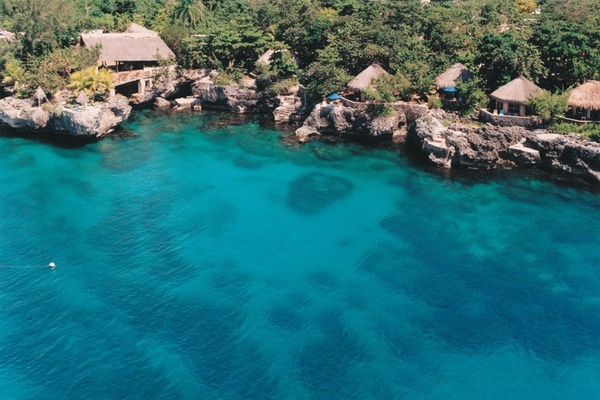 Vincent has been leading guided tours of the main reef just off Negril beach since before we owned Rockhouse. He has a great boat and he stops at all the hotels along the cliff, though I think we're his biggest customer. He comes by every morning at 9:30, and whoever wants to go jumps on board. He'll dive down with you for a guide reef tour or let you go on your own. If you want to wake up early, he also does a great fishing tour at 7 a.m.. There's another location in Ochos Rios and a new one in Kingston. They do a really authentic thing. It's local but tourist-friendly. They slow cook under corrugated tin over pimento wood. Everything is amazing, but I especially love jerk chicken and jerk fish. Dunn's Riverfalls is the really touristy waterfall. Hundreds of people and loads of tour buses. Mayfields is in Westmoreland, about an hour and fifteen minutes from Rockhouse, and it's much more laid back and less touristy. They assign a guide to take you up the falls, and depending how far you go, you'll either walk through easy or tricky falls. You can make it all the way up in water, but if you're not up to it, you can take a side path in the tough spots. Jerk chicken at Rockhouse Restaurant. This is one of our restaurants, but I think they do a great job. It's a sit-down place, but pushcarts and Jamaica's street food were the inspiration. They have local live music every day. The jerk platter is a great combination of shrimp, chicken, and pork. It's served with festival, the floury, deep-fried dumpling you dip in the jerk sauce. It's light and fluffy and so unhealthy, but it tastes amazing. I eat here every other night. 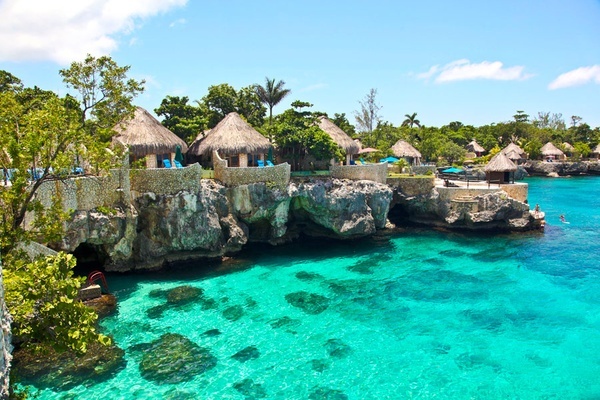 It's on the seven-mile side of Negril Beach. Niah and his sister make each patty fresh to order and cook them over a wood-burning stove. 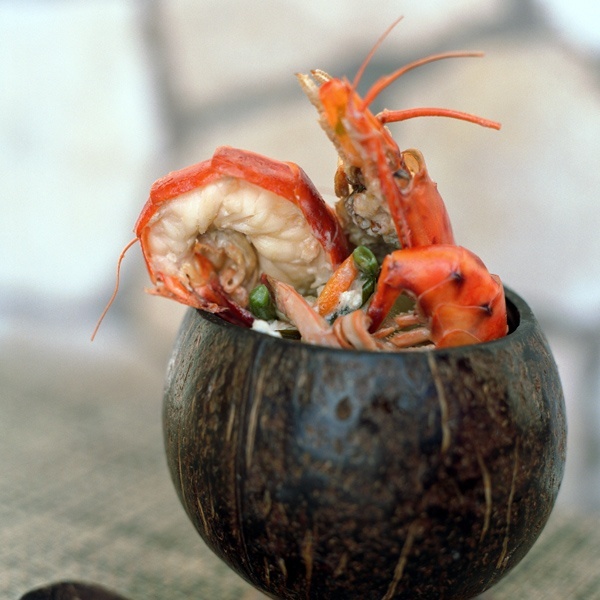 Flavors include the regular chicken and beef but also lobster, ackee with salt fish, and many vegetarian options. Close to on the south coast, there's a sand bank about a quarter mile out to sea — way off shore — where Floyd built a bar out of bamboo. Yes, in the middle of the ocean. It was totally washed away in a hurricane a few years ago, but he rebuilt it, and continued to do so each time. You stop in and have a drink. It's a quirky destination and the owner is a real character. It's a pretty boat ride and any of the fishermen in Black River can take you there. Appleton is one of the main rum companies in Jamaica, and their estate is an hour and a half from Rockhouse, a pretty drive thru the south coast. You do a tour of the rum-brewing process, followed by a tasting. 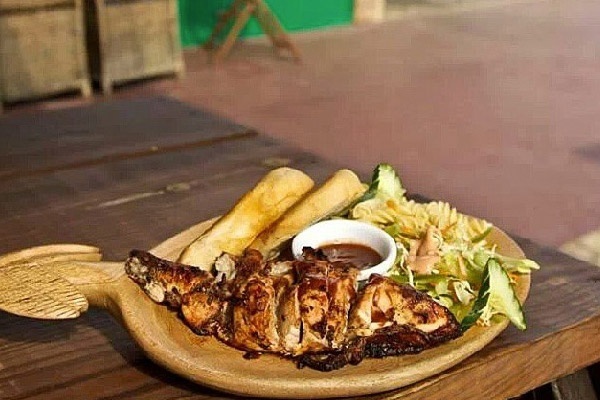 They serve lunch and have seminars on the history of rum in Jamaica. It's interesting, something different from the usual thing to do. : It's also a small boutique hotel on a very pretty part of the beach. If you buy a few drinks, tip the beach man. The boardwalk: It's farther up. It has small shops, but still feels private and has a good restaurant for lunch. Twenty minutes outside Negril in a much more remote area, there's a little restaurant called Half Moon set on a shallow beach. You might be the only people there. I like to go by moped from Rockhouse — it's a great ride. Don't confuse this with the big Half Moon Montego Bay hotel of the same name. This is a pretty, romantic, isolated beach. Paul is a . He travels for the impact it has on him and, hopefully, the impact that he can have on others. Этот авторитетный сайт , он рассказывает про http://tamada.ua.